Well, there it is, my April ALYOF goal - finished. Isn't it wonderfully springy? I'm really happy with the choice of blue for the background. I love how all of the colors look against the blue - the oranges, pinks and greens look especially fantastic. What I don't love so much? Those two pinks left of middle that are the same and ended up side by side. 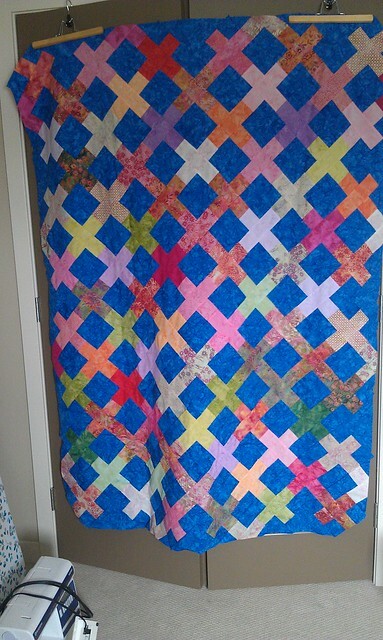 All in all, I'm happy with this quilt though. Very springy! The colors with the blues look great. The colours are definitely gorgeous and springy! 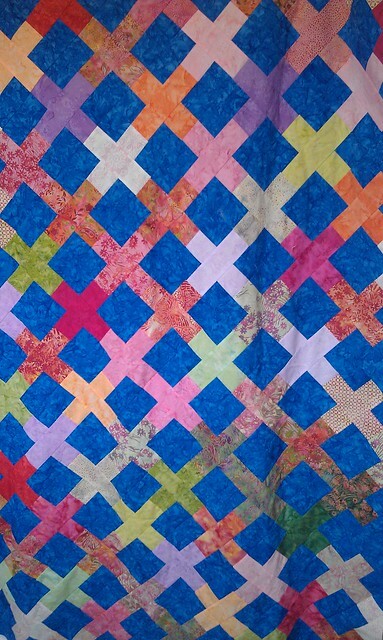 I really like your quilt, I agree that the blue just makes it pop!